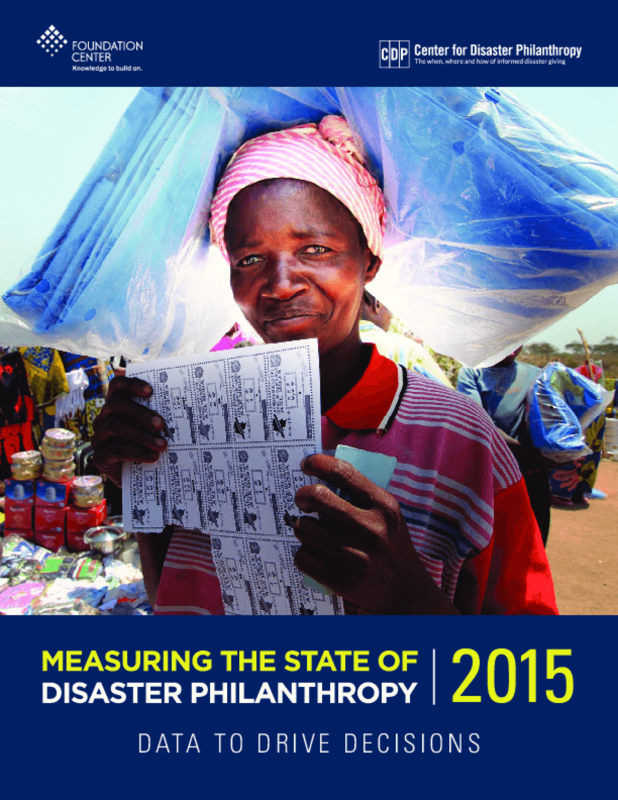 Jointly produced by Foundation Center and the Center for Disaster Philanthropy, Measuring the State of Disaster Philanthropy 2015: Data to Drive Decisions analyzes funding trends for disasters and humanitarian crises in 2013. In addition to examining U.S. foundation funding, this second annual report integrates other disaster-related funding data, including bilateral and multilateral aid, corporate giving, and online giving, to paint a more detailed picture of how institutional philanthropy is situated within the broader disaster funding landscape. Collectively, this report, along with the dashboard and mapping platform, provides donors, practitioners, and other stakeholders with in-depth information on funding flows for disasters and humanitarian crises. Explore more at disasterphilanthropy.org.